Good morning, writers! Here’s a post I’ve always wanted to write, because it’s a vital topic that isn’t often explored. And as I’ve been feeling particularly lovestuck regarding my upcoming novel, I thought now would be a good time to finally post this! 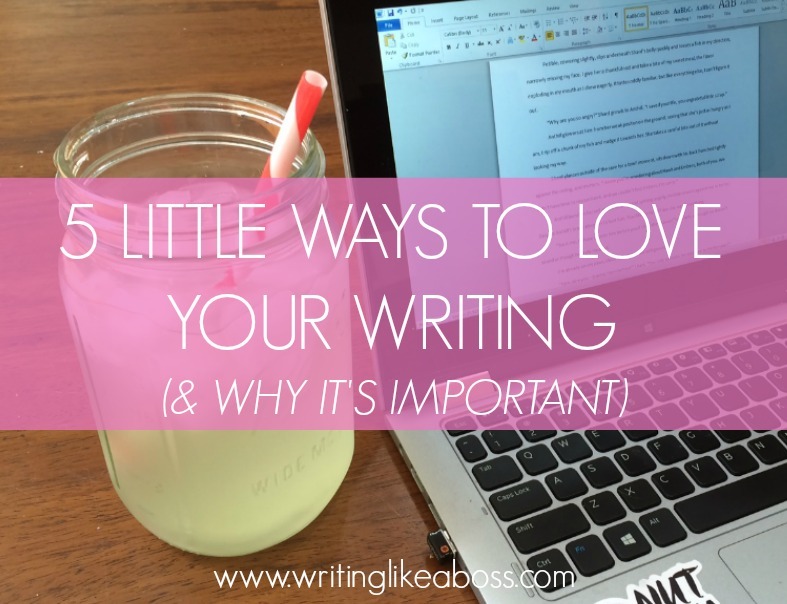 Why is loving your writing so important? The way I see it, if you love your writing . . .
You’re more likely to finish your stories. 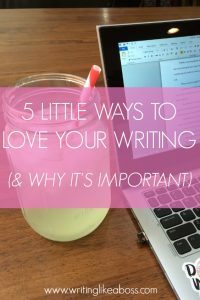 It shows, and it makes your writing better because of it. 1. Don’t let anyone decide how you write. Your storytelling ability is unique to you. So why would you let it go to waste telling someone else’s tale? Sometimes you think, “My story’s too weird to get published.” But guess what, writer? Weird is good. Weird is fantastic, actually! If you’ve read Madeleine L’Engle’s A Wrinkle in Time, you’ll know that the story is definitely on the odd side. Did you know that L’Engle was rejected by publishers 26 times? But now it’s a classic! If that’s not inspirational, I don’t know what is. Write unusually, write oddly, write in your beautiful, unique way – it may just get you exactly where you’re supposed to be. 2. Put a piece of you in your characters. I tend to fall in love with characters to whom I can relate. And if I put little pieces of myself into them, relatability is an easy feat! For example: I have a character who loves to write fiction, and another who sometimes has to deal with random outbursts of depression. And I love them both for it. Why? I took those traits straight from myself! I’m not saying your whole cast of characters should act exactly as you do – in fact, I do not recommend that at all. Try to make sure your characters are still unique and defined. Sometimes it’s good just to put a tiny piece of yourself in your most important characters (those that move the plot forward, or get the most screentime) – maybe your supporting character is always seen wearing Converse, like you, or your protagonist enjoyed Black Beauty in the fifth grade just as much as you did. The possibilities are endless, so explore some different ideas! 3. Put a piece of you in your story. Just like the last point, putting little bits of you in the story itself can help you accomplish “love at first sight.” For instance, you could include a city you love – maybe your hometown, or somewhere you vacationed once. Kathryn Stockett did this in her novel The Help, and so did Veronica Roth with Divergent. Outside of hometowns, there are tons little things you can include: your favorite season (winter, spring, summer, fall), for example. The possibilities are endless! 4. Include your favorite words/objects whenever possible. Surely I’m not the only one who keeps a list in my head of my favorite words. “Fantastic,” “scrupulous,” and “propriety” are just a few of them. It seems small, but incorporating your favorite words whenever possible is a fantastic way to fall in love with your writing; one word at a time! But what about those “objects” I mentioned? Those are pretty much anything your mind can come up with, from hot chocolate to red lipstick. I love cupcakes and bakeries, for example, so I based my whole novel around them! Don’t be afraid to think big. 😉 Personally, I like to keep a journal of those little things that I love – I highly recommend it! 5. Add your favorite tropes. Like love triangles? Platonic boy/girl friendships? Protective older siblings? Put them in your story! If you’re in love with your story . . . you’re more likely to stick with it to the end. If you’re in love with your story . . . it shows in your writing! Should you love your story, the reader will definitely be aware of it. The same goes for the other way around, so be wary of when you find yourself hating anything in your writing; even a character or a scene! Hi Sam! This post really helped me because lately (since I haven’t had much time on my computer to write due to catching up on math) I’ve been feeling stressed out about all the little plot details that can destroy my books if I don’t find a way to fix them! So, thanks for the encouragement! By the way, I have another question! (Sorry!) Do you think it’s a good idea to start a new short book when you’re already finishing another book? I don’t want to make this comment too long, but I just thought I’d ask. My background with that isn’t too good…I’m not that good at continuing my books when I start them, but thankfully I have been lately! I’d probably divide my time…What do you think? Thanks! Hey Aynsley! I haven’t been able to write much, myself, so I can totally relate. I don’t mind questions! I do think starting a new book while you’re already working on another is a good idea, just so long as you don’t give up entirely on one or the other (unless you need to, of course). In fact, I think it’s a great idea: if you’re writing two books at once, I suppose it’d be a lot easier to gain inspiration and keep it. Not to mention that it’s kind of fun to have more than one project. In summary: I don’t see a problem with it. 🙂 Hopefully that helps. 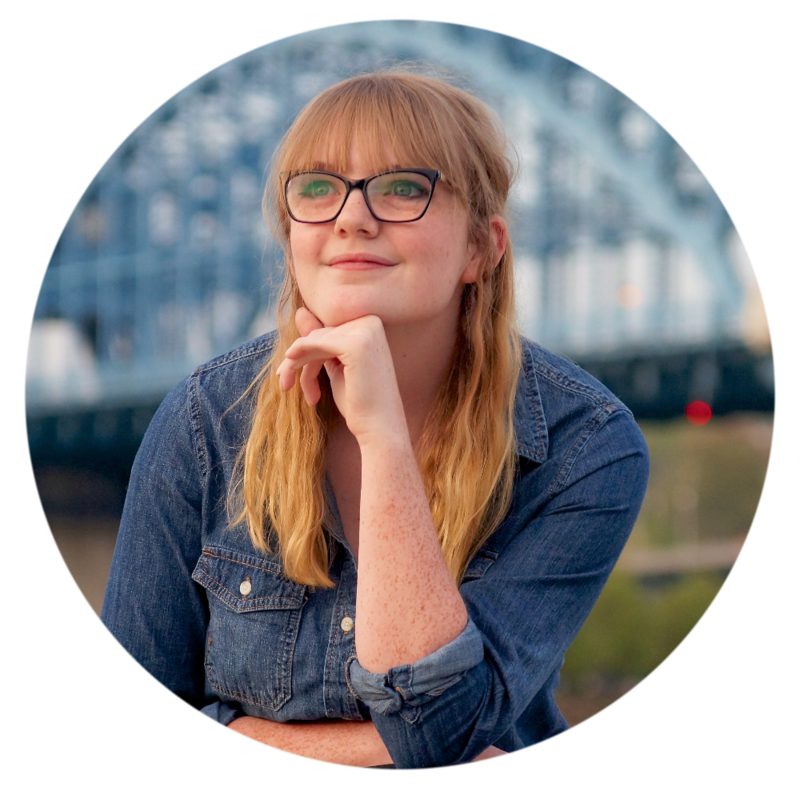 I’d love to hear more about your books, if you’re willing to share! Oh, I’m not tired of hearing about it at all! 🙂 I can’t wait to read it!